Unlocator is a service that hides your location so you can access more online content without restrictions. It is owned by Linkwork Ap2, an IT company that is based in Denmark. If you’re like me, then you have already stopped using cable television. It’s expensive and it rarely gives you the options you want (without forcing you to take a bunch of channels that you don’t care about). I cut the cord because I had already started using the Internet to access most of the streaming content that I like. That includes services like Netflix and Hulu, although I also watch a lot of content on BBC and some sports channels that aren’t easily available in the U.S.
What I didn’t know at the time is that those Internet channels block a lot of content. If you live in the U.S., you get to watch certain things. Someone in Brazil or England, however, might get to watch completely different things. Learning that kind of ticked me off. I mean, why shouldn’t I have access to the same content as everyone else? What, I don’t get to watch my favorite shows just because I live in the United States? After learning this, I went on a hunt to find a way that I could unblock that content. After looking at several options, I decided that Unlocator was the right option for me. In this review, I will explain why I chose Unlocator. Hopefully, my experience will help you decide if Unlocator is the right option for you, too. The main feature of Unlocator is that it hides your location so that you can stream channels and content from all over the world. That’s a given. There are, however, several companies that offer similar services. What sets Unlocator apart from them? 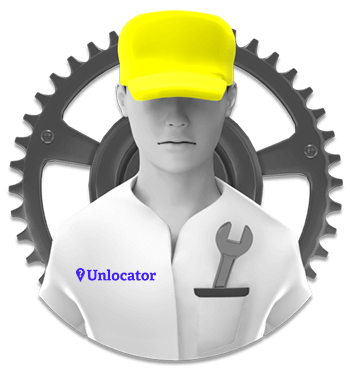 In this section, I will go through some of the top features of Unlocator to help you decide whether it is the right unblocking service for you and your family. I’m not really a tech kind of guy, so I don’t want to use a service that forces me to learn a lot of new stuff that I will only use once. It just doesn’t sound worth it to me. Unlocator makes installation as easy as possible. You can either choose to install the software on a single device (like your computer or your media player), or you can install it to your router, which will unblock all devices in your home. I decided it was easier to use the router. That way, I can stream content from anywhere. I also installed it on my tablet so you I can stream content while I’m traveling. No matter where I go, I can watch and listen to what I want without any restrictions. Before getting Unlocator, I was concerned that it would slow down my connection. One of the reasons that I want to hide my location is that I enjoy watching sports events from other parts of the world. It’s practically impossible to watch soccer games from the UK in America. At least, I haven’t found a good way other than hiding my location to gain better access. Now, slower speeds may not sound like a big deal to you. And it probably isn’t if you just want to stream music and watch movies. When it comes to sports, though, you need to know what is happening as it happens. My friends are usually on Facebook talking about the games while they watch them. Since a lot of them are in Europe, they don’t have any delays. That means they are posting comments about the action in real time. If I had so much as a 30-second delay, I would have to stop using Facbeook while I watched games. Seeing someone post about things that I haven’t seen yet would completely ruin the experience for me. With Unlocator, I can stream games at the same speed as my friends in other parts of the world. It gives me the best way to enjoy games and social media at the same time. That way, I never feel left out of the conversation. Unlocator will tell you that it works on all devices. I’m not sure about that. How would you even test that statement? There are so many different types of devices in the world today that I couldn’t even begin to name them all. While I wouldn’t necessarily say that Unlocator works on ALL devices, I will say that it works on popular options. That includes iPhones and Android phoens, Windows phones, and even the Kindle Fire. 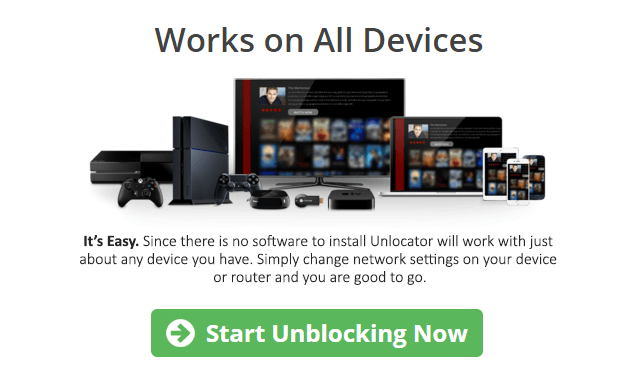 Unlocator also works with most smart TVs, game consoles, and routers. Unless you have a device that no one else uses, you should be covered. If you’re concerned, then you can always check the Unlocator website to make sure your device is on the list. You can, however, pay different prices for Unlocator. When you get down to it, it mostly has to do with how often you want to pay. If you sign up for monthly payments, then you can expect to spend about $4.95 per month. Prices can vary slightly depending on where you live, but they are still close to that. If you prefer to pay every six months, then you will make a $27.50 payment. That comes to about $4.58 per month, so you save somewhere around 30 cents per month with this option. If you are willing to make annual payments, then you will get the best price of $49.95. That comes to about $4.16 per month, so you save about 90 cents each month by choosing the annual option. Obviously the annual option is the most affordable way to go. When I was first learning about Unlocator, though, I was a little concerned about making that level of commitment. It turns out that I didn’t have anything to worry about. 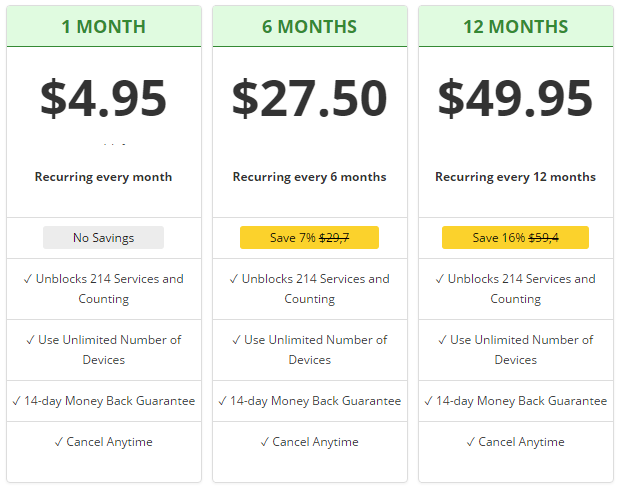 Unlocator gives you a seven-day free trial so you can try out its services. You don’t even need to give them a credit card number, which is a relief since I’ve had companies go ahead and charge me for services that I cancelled. There’s no chance that that can happen with Unlocator. Also, Unlocator lets you cancel your subscription at anytime. If you decide six months in that you don’t really care about unblocking services, then you can cancel and get a partial refund. I haven’t seen many criticisms of Unlocator. Even CNET mentions it as a way international travelers can continue getting the media services they enjoy no matter where they go. With that said, I think it’s important to recognize that this is not a virtual private network. Unlocator doesn’t claim to be, but I could see how someone could get confused and make that assumption. 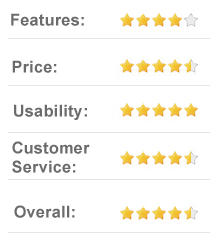 You will not get the same service from Unlocator that you can get from a dedicated VPN service provider. What confuses some people is that you can often use a VPN to trick websites into thinking that you are somewhere else. 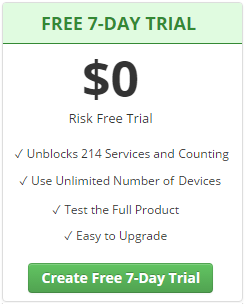 That essentially “unblocks” the content you want to access. While you can get similar benefits from a VPN, it will cost you more money. That’s fine if you want the added security that you can get from VPN providers. If that isn’t your biggest concern, though, you might as well save a few bucks and go with Unlocator. I’ve never had to contact customer support. Unlocator has some good online guides that will answer most of your questions. If you can’t follow the directions, then you can contact customer support for extra help. I doubt that you will need to, though. Like I said earlier, I don’t know that much about computer technology, and I was able to install Unlocator easily. If you don’t like the idea that companies block your access to content just because of where you live, then I think you should check out Unlocator. It can add tremendous value to the services you use. The free trial is a great way to test the service before making any kind of commitment. Since you don’t have to give Unlocator your credit card info, there is no way that they can charge you for services you don’t want. The Internet has made it possible for people to share all kinds of things with each other. Unlocator is breaking down walls so we have the freedom to access what we want. Good for them!